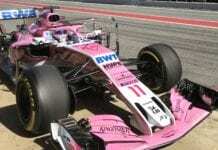 Adrian Sutil’s appearence for Force India at Barcelona testing has signalled the final fight for a place on the 2013 F1 grid. With his day of running, he has set the benchmark for the other contender, Jules Bianchi, to stake his claim. Ultimately though, it’s one apiece in terms of the clash of the contenders, with it all boiling down to their performance inside the car. First of all there’s the topic of sponsorship. Both drivers will bring a purse with them to the negtotiating table. It’s not uncommon these days for talented drivers to bring backing from companies with an interest in backing and exposure through labels on uniforms and places on cars. Adrian Sutil wins in this round – his backers of Medion and Capri Sun give him that uppercut punch that lands him the first round. But then there’s the long term planning of the Force India team. 2014 is a massive year in terms of regualtion changes, especially with the introduction of smaller V6 engines fitted with turbos. These new engines will cost more for customer teams like the Silverstone based squad, and that’s where Bianchi’s offence comes into play. 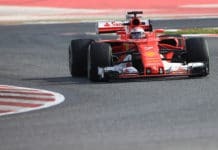 With his ties to Ferrari’s young driver programme, it’s a quick jab and a left from the young Frenchman, as switching to Ferrari engines in return for running one of their proteges could save them a tidy packet. Ding ding; round 2 to Bianchi. That means we’re level heading into the final day of testing in Catalunya. Sutil has had his shot, so it’s down to the rookie, who’s got it all to do. Which one will take it? Only time will tell.